Believe it or not, there are Indians of African origin who have lived in India for many centuries. They moved from the east coast of Africa via the Indian ocean as slaves, artisans, merchants and warriors. Some ended up in very high positions in precolonial India. 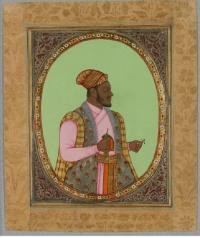 There are many recorded African rulers in some of the numerous Indian princely precolonial states. These Indians of African descent are called Siddi or Habshi and still exist today in fairly large numbers. Learn more about African Indians here and here.